Hello all! I am a stay at home wife with a brand new baby. I have a wonderful husband and a fur baby I love to death! I love writing reviews since I have a lot of opinions and as I always say "Opinions are like as*holes. Everyone has one, it all depends on how you choose to use it." Personally, I choose to use it to tell other like-minded interested parties how I feel about a product and or service. 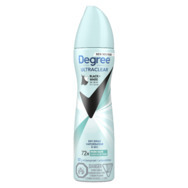 That is what you are sure to get here on this blog. Honest raw unfiltered truthful reviews. 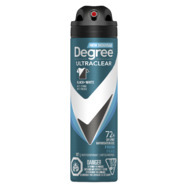 I will admit that some of the products I review are from sites that send me free product in exchange for a review but trust me when I say this has nothing to do with how I ultimately review the product. I mean what’s the point if I'm not going, to be honest right?! I know that's why I got the product and so I only tell the truth, not just what the companies may want to hear. I mean in the end that really helps no one. I originally got into writing reviews and testing products as I am on disability and unable to work so watching every penny is a must! Also, being a writer from a very young age it was an easy choice to make to try and help others. Recently we added a new baby to our family and the pennies just keep getting thinner and thinner as we go. It is my mission that when I write a review of my experiences, it is honest. That also, in turn, helps me feel like I have helped others make informed decisions and not waste their time or more importantly their money on stuff that does not measure up. I want to empower everyone to be nice but to be real and let companies no when you’re within reason expectations were not met. I understand human error and I try to never be too harsh and give the benefit of the doubt, but I still have standers and I expect them to within reason be met or exceeded. I am not one that is shy about reporting to a company when my experience with their product or location does not meet my standards and I am more than happy to let them know when I am impressed by their staff/product. I believe if there is praise to be given it should be but I'm not about to allow my money to go to a shotty product or experience. I say it like it is and even though some call me bad names for it I feel like there is no point sugar coating the truth! I have been doing this for many years and I am simply trying to make others aware and help them make informed decisions. With my reviews, you get the truth. Whether it be good bad or ugly it will always be my honest opinion! 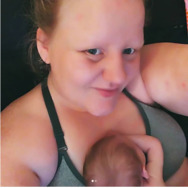 I hope by creating this blog site that I may help my fellow moms and penny pinchers alike make the most of everything they do especially in this fiscal economy that we all now live in. another get the most out of life. is your friend and not your enemy. Do you buy new or used. Has Anyone Been on Plenty of Fish or Any Other On-Line Dating Sites? Are you single, married, or in a relationship? Aww thank-you for leaving a comment on/in my guest book! Coupon websites and review sites. Philips-Avent Natural Baby Bottle Recommended? You Betcha! 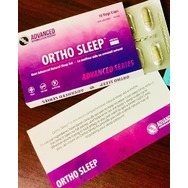 Natural Sleep Aid By AOR Recommended? You Betcha! 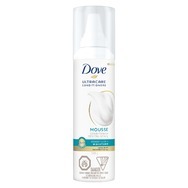 Dove UltraCare Conditioner Weightless+Moisture Mousse Recommended? Fugheddaboutit! 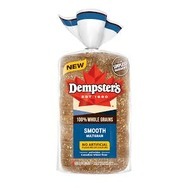 Dempster’s Smooth Multigrains Bread Recommended? Fugheddaboutit! Corner Comsignments Recommended? You Betcha!